Here's a list of WordPress magazine themes, sometimes known as WordPress news themes that you can use to start a magazine/news site. I think this is the largest collection of magazine WordPress themes in one place. 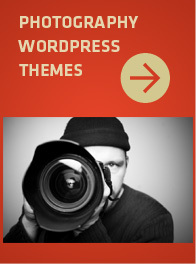 So it could very well be the titled the ultimate list of magazine WordPress themes. Starting an online magazine or news site can be quite lucrative if you know what you're doing. Community sites can make generous revenue from advertising and affiliate marketing. A great ebook that I bought last year goes in-depth about starting a blog business from the founder of Envato and I suggest you check it out called How to Build a Blogging Business. It's actually quite good and contains case studies that really give you a lot of info. I recommend picking up a copy. Anyway here's a list of themes you can use to start your next project. PS… like my other posts I'll keep this post up-to-date as new themes come out. Big article images, many page templates, numerous theme settings, search engine optimized, RTL stylesheet, 4 free childthemes, cufon font replacement, logo uploader, content slider, image slider, image gallery, video integration, 5 custom widgets, 7 widget areas. CSS, jpg, JS and PHP files included. 3 image and news slideshows, multiple page templates, 4 skins, auto image resizing, contact form, news submission form, dropdown menu, many different backend options. CSS, jpg, JS, layered PSD and PHP files included. 5 color schemes, 7 widget areas, 7 custom widgets, extensive theme options, featured post selection, banner support, multiple page templates. CSS, html, jpg, JS, layered PSD and PHP files included. 2 skins, custom slider, video support, easy language translation, improved PrettyPhoto lightbox, cufon support, 4 custom widgets, contact form, dropdown menus, drag & drop menu manager, unlimited sidebars, many theme options, html5 valid. Fully customizable, image slider, auto image resizing, paged navigation, Twitter integration, built-in widgets, 8 alternative backgrounds. CSS, html, JS, layered PSD and PHP files included. Easy customization, control panel, 10 colors, featured posts, mix color schemes, seatch by category, advertising space. Standard featured images, 2 full color schemes, custom-built theme settings panel, flexible logo space, social network links, widgetized sidebars. 2 sliders, 15 header bcakground images, 14 cufon font options, 9 footer background images, many admin panel options, image & video lightbox, supports video, 4 widgetized areas, google maps, contact form, 9 option pages. No plug-ins required, infinite dropdown menu, custom theme options page, 3 custom widgets, widgetized sidebar, widgetized footer, 2 custom page templates, social sharing bar, multiple shortcodes and more. CSS, JS, layered PSD and PHP files included. 2 color variations, slider for headline news, auto image resizing, user link feed, jQuery slider, ad management system, smooth tabbing, social links, widget ready. Auto image resizing, 5 widget areas, 4 banner slots, threaded comments, social bookmarks, drop down category menus, easy settings. 6 styles, 2 custom widgets, 6 page layouts, widget ready, ad optimization ready, SEO friendly, smooth tabbing, breadcrumb integrated. 6 widget areas, 7 custom widgets, many theme options, built-in breadcrumbs, featured post slider, popular post slider, fancybox support, 6 different theme colors, gravatar support, 9 shortcodes. Highly customizable, no plug-ins required, included screencasts, custom theme options page with many settings, 2 custom widgets, 2 widgetized areas, manu custom functions, featured post slider, social sharing bar and more. CSS, html, JS and PHP files included. 12 widget areas, 7 custom widgets, extensive theme options,, content configuration, jQuery support, several page templates, optional banner support, pull-quote shortcodes. jQuery framework, 2 widget-ready areas, supports video streaming, extensive jQuerified custom admin panel, google analytics, custom favicon, feedburner. CSS, html, JS and layered PSD files included. 5 different layout backgrounds, fixed or fluid layout, floating boxes, colored categories, multi level main navigation, social navigation, tag cloud, Google analytics, tabbed area on front page, many additional custom functions, multiple sidebar options. CSS, html, jpg, JS and PHP files included. 7 custom widgets, 7 page templates, 10 vibrant color choices, theme options panel, multiple widgetized areas, integrated shortcodes, extensive theme options, image gallery, author pages. 8 color schemes, 2 jQuery sliders, rotated featured & popular posts, related & random posts, advertising panels, nested comments, Twitter integration, auto thumbnails, extensive theme options, widget ready and much more. CSS, html, jpg, JS, layered PNG, layered PSD and PHP files included. Featured posts, 4 color schemes, jQuery animations, widget ready sidebar & footer, highly customizable, theme options panel, featured posts section. Unlimited color schemes, 10 widget areas, 8 custom widgets, extensive theme options, content confirguration, jQuery improved dropdown menus, featured post carousel, page templates, column shortcodes. 2 styles, 4 custom widgets, custom author page, 5 widget areas, RSS & Twitter counter, threaded comments, drop down menu, image management system. 3 skins, 3 font styles, 2 homepage styles, quick view feature, custom shortcode widgets, multiple image galleries supported, dynamic sidebar, flexible page columns, related posts, contact us page. 4 sidebars, 3 WP3 menus, 2 custom post types, 5 custom page templates, widgets, shortcodes, cutom captchas, fromtpage login, SEO optimized, dropdown menu, form validator. 7 custom widgets, built-in theme options, localisation support, 2 featured post sliders, unlimited color schemes, 5 widget areas, jQuery support, column shortcodes. Advanced theme admin options, social media settings, tableless layout, jQuery featured slider, cufon text replacement. PSD, xml and theme files included. 3 column, widgetized homepage, 8 custom widgets, 90+ shortcodes, fully localized, 35 styling options. jQuery featured sliders, widgetized footer, easy to switch colors, Timthumb image resizer, gallery page, blog page, social icons in footer, PHP contact form, 2 columns, multilevel threaded comments, custom ad section, feedburner integration, Twitter integration and more. AdSense ready, affiliate banner ready (10+ banner spaces), auto image resizing, multiple widget support, one-page scrolling layout, drop down menu, 3 columns, 8 news sections, configuration page, thumbnail generation, SEO optimized, social network icons, feedburner compatible, W3 valid. 3 different color themes, 2 column tableless layout, popular posts/recent posts sidebar, feedburner integration, sidebar widget ready, gravatar ready, unique social linking bar. Big slider on homepage, fully widgetized sidebar, RSS & Twitter counters, custom tab content, fully widgetized footer, no plug-ins needed, about the author area. Shortcodes, Ajax gallery, contact form, extensive admin options, custom sidebars. 2 slideshow options, several color and background options, cufon text replacement, widgetable sidebar, Twitter integration, dropdown menu, SEO optimized and diffent admin theme options. Tableless coding, theme admin option, sidebar widget supported, built-in widget in homepage and sidebar, featured slideshow, sticky thumbnail, Google Adsense ready, Google Analytic support, jQuery effects. CSS, jpg, JS, layered PNG, layered PSD and PHP files included. Featured posts slider, 13 custom widgets, ad space, Twitter feed, contact form, maps, video support, social media icons, multiple shortcodes, unlimited sidebars. Shortcodes, custom ad widgets, twitter and feedburner counters, widgets ready footer and sidebar, drop-down menu, author box, nested comments. 4 homepage layout options, shortcodes, localization support, widget areas in sidebar & footer, 4 ad locations, 10 color schemes, 7 custom widgets, multiple page templates, extensive theme options. Lightweight jQuery newsticker, ad widget, 4 ad areas, breadcrumb navigation, dropdown menu, gravatar support. Highly customizable and well documented. Automatic menu, auto image resizing, featured content areas, fully widgetized sidebar, 2 custom widgets, paged navigation, 4 background styles, fully featured admin panel. PHP files, PSD files + all templates and scripts ready to use. Front end visual options panel, unlimited colors, featured image support, video support, ad widgets, Ajax post filtering, threaded comments, two post layouts, front page accordions. Featured posts slider, tabbed sidebar, widget ready, theme options page and more. 5 custom widgets, threaded comments, featured post thumbnails, featured posts slider, custom archives page, SEO friendly. Extensive admin panel with 70+ options, highly customizable, 8 pre-made skins, 2 homepage variations, jQuery featured slider, contact page, video ready, multi-level dropdown menu, sidebar and footer widget areas, ads widget, gravatar ready, PrettyPhoto. Full color customization, layout customization, image slider, galleries, auto image resizing, paged navigation, Twitter integration, social media buttons. 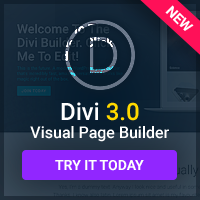 5 color themes, custom admin panel, unlimited gallery pages, drop down menu, Nivo slider, Cufon font replacement. 18 admin panel options, widgetized sidebar and footer, no plugin required, slider, ad management, 3 different layouts. Featured posts slider, 13 custom widgets, shortcodes, flexible page columns, related posts feature, trubleshooting plugin, unlimited sidebar. CSS, JS, layered PNG, layered PSD and PHP files included. Multiple navigation types, superfish dropdown menu, breadcrumb navigation, Javacript slider, advertising module, tableless design, many admin options. All theme files, fully sliced and layered PSDs and detailed html setup instructions included. 2 column tabless layout, theme options panel, 3 widget-ready areas, custom writing panel, easy translation, dropdown menu support, changeable sidebar position. 5 color variations, menu manager, auto image resizing, 4 sidebar positions, 3 page templates, jQuery slider, multi level dropdown menu, cufon font replacement. Theme options, featured content blocks, multi-level dropdown menu, built-in social addon, custom page templates, SEO options. Custom login form, featured slideshow, dropdown menus, banner management, threaded comments, social widget, tabbed widget, custom widgets, localization support, theme options, SEO options. Theme options page, 7 color styles, SEO options, jQuery content slider, multi-level dropdown menu, social addon, custom widgets, custom page templates. Custom login form, carousel slider, video slider, custom social widget, myltiple page layouts, 7 custom widgets, localization support, theme options, SEO options, threaded comments, banner management. Multiple posts layout, drop-down menus, video integration, custom templates, plays videos from all popular sites, theme options, SEO options, widgetized sidebar & footer, banner management. Theme options page, 10 color styles, SEO options, jQuery content slider, multi-level drop down menu, social addon, custom widgets, social sharing icons, about author section, custom post options, custom page templates. Custom menu, video widget, news slider, custom templates, multiple page layouts, social profiles, localization support, theme options, SEO options. Theme options page, jQuery slider, 4 color styles, multi-level drop down menu, social sharing icons, flickr widget, threaded comments, author pages, widgetized footer. Featured slider, tabbed widget, built-in widgets, theme options, SEO options, threaded comments. Featured slider, featured categories, social profiles, theme options, multiple page layouts, SEO options, threaded comments, banner management, Google Analytics & Feedburner support. Featured slider, threaded comments, tabbed widgets, drop down menu, contact widget, theme options, custom background, video support, banner management, Google Analytics & Feedburner support. Featured slider, threaded comments, Flickr photos, drop down menu, theme options, highlight widget, 3 built-in widgets, custom background, custom menus, widgetized sidebar & footer. Featured slider, 2 built-in widgets, drop down menu, threaded comments, author profiles, Twitter integration, localized, widgetized sidebar, theme options admin panel, featured posts on homepage, banner ads management, supports Google Analytics and Feedburner. 3 color styles, custom fonts, multi-level drop down menu, jQuery slider, threaded comments, widgetized sidebar & footer, 4 page templates, 3 custom widgets, theme options, banner ads management, supports Google Analytics and Feedburner. Theme options, 4 color styles, localized, multi-level drop down menu, social widget, threaded comments, widgetized sidebar & footer, 3 built-in widgets, banner ads management, supports Google Analytics and Feedburner. Post thumbnails support, threaded comments, ads management system, featured content section, drop down menu, built-in widgets, localized, widgetized sidebar & footer, theme options, flickr widget, support for Google Analytics and Feedburner. Built-in widgets, threaded comments, banner management, featured content section, drop down menu, theme options, localized, featured posts slider, video support in featured slider, widgetized sidebar, theme options, Flickr widget, support for Google Analytics and Feedburner. Vertical menu, featured posts on homepage, featured categories, built-in widgets, featured posts in header, social addon, SEO options, jQery slider, 10 color styles, widgetized sidebar, threaded comments, banner management, Google Analytics and Feedburner support. Multi-level drop down menu, featured slideshow, featured categories, built-in widgets, 6 color styles, about author section, widgetized sidebar & footer, social bookmarking icons, banner management, Google Analytics and Feedburner support. Featured post slider, custom typography, custom widgets, 18 alternative color styles, sidebar manager, custom shortcodes, custom navigation, SEO options, auto-sizing thumbnails, custom page templates. Custom homepage, featured post slider, custom typography, custom widgets, alternative styles, sidebar manager, custom shortcodes, custom navigation, SEO options, auto-sizing thumbnails, custom page templates. Custom homepage, custom typography, custom widgets, alternative styles, sidebar manager, custom shortcodes, custom navigation, SEO options, auto-sizing thumbnails, custom page templates. Home page featured scroller, widgetized homepage, timeline page template, custom widgets, 10 alternative styles, sidebar manager, custom shortcodes, custom navigation, SEO options. Custom homepage, featured slider, custom widgets, 10 alternative styles, auto-sizing thumbnails, sidebar manager, custom shortcodes, custom navigation, SEO options, auto-sizing thumbnails, custom page templates. jQuery slider, Twitter integration, ad space, social bookmarks, author box widget, cufon font replacement, flexible layout, custom widgets, 15 color schemes. Home page featured slider, customizable home page layout, video player, 16 color schemes, auto-sizing thumbnails, custom page templates. Tag based home page modules, recent entries carousel/slider, 4 widgetized footer modules, 2 widgetized sidebar modules, 10 color schemes. Breadcrumb navigation, 4 widgetized areas, 5 custom widgets, 11 color schemes, localized for easy translation. Drop down menus, 9 ad spaces, Twitter integration, Adsense integration, completely widgetized sidebar & footer, 13 color schemes, backend theme options, auto-sizing thumbnails, custom page templates. Centered or left-aligned layout, widgetized footer & sidebar, popular articles column, banner management, 8 color schemes. 3 different styles, multiple homepage layouts, backend theme options, auto-sizing thumbnails, localized, custom page templates. Featured posts carousel, optional sideblog, 12 color schemes, backend theme options, auto-sizing thumbnails, localized, custom page templates. Homepage featured slider, optional video player module, multiple homepage layout, 4 color schemes, backend theme options, auto-sizing thumbnails, localized, custom page templates. Featured selections, animated horizontal drop down menus, 9 color schemes, backend theme options, auto-sizing thumbnails, localized, custom page templates. Homepage featured posts, advertisement support, animated horizontal drop-down menus, 7 color styles, backend theme options, auto-sizing thumbnails, localized, custom page templates. 6 layout, theme options, featured images, threaded comments. 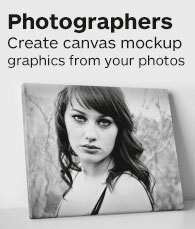 Custom background/header, 5 color styles, 6 layout options, featured images, threaded comments. 6 layout options, fixed width, theme options, featured images, threaded comments. Custom background/header, 4 color styles, 6 layout options, featured images, threaded comments. Theme options, custom theme layout options, simple post thumbnails, FancyBox integration, header advertisement, custom footer text, widgetized sidebars. Grid layout, post thumbnails, fully widgetized, page templates. Featured content slider, custom layout options, ad management, theme options, custom menu, custom background, post thumbnails, jQuery lightbox plugin. 2 or 3 column layout, widgetized sidebar, 10 color options, theme settings, featured content glider, threaded comments, banner ad integration, logo integration, drop down navigation, SEO optimized. 2 column layout, widgetized sidebar, photo galleries, video integration, theme settings, featured content glider, 8 color options, threaded comments, banner ad integration, drop down navigation, SEO optimized, multiple page templates. 2 or 3 column layout, widgetized sidebar, theme settings, featured content glider, threaded comments, banner ad integration, drop down navigation, SEO optimized. So there you have it, a big o' list of WordPress magazine themes. If you know of any more themes that aren't on this list that fall into the category of news/magazine then please let me know.